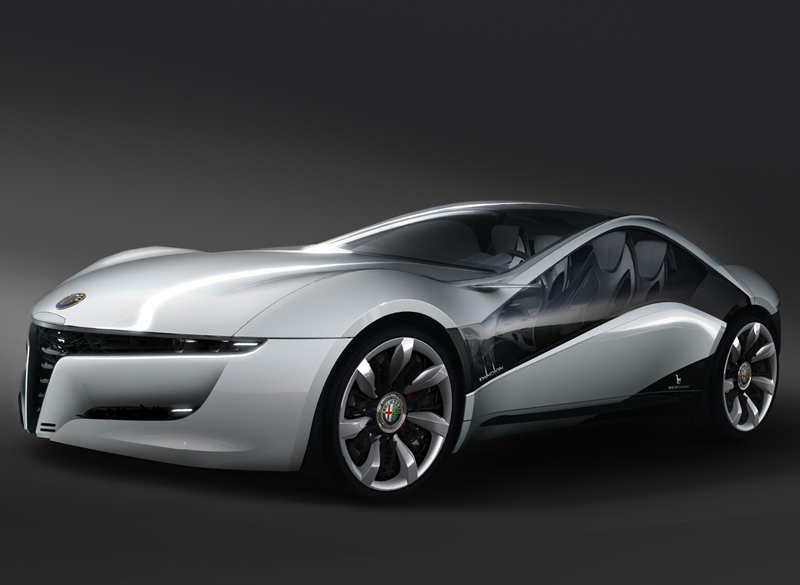 At the 2010 Geneva Motor Show two of the largest Italian automotive design firms both unveiled concept cars to mark the 100th anniversary of Alfa Romeo. 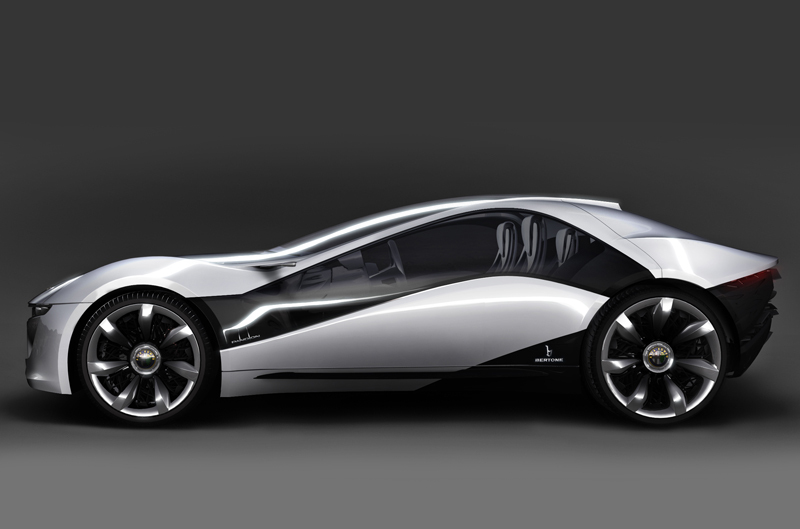 Except where Pininfarina unveiled the 2uettottanta concept - which looked just a few tweaks away from being production ready. Bertone came up with the Pandion - which looked like it came from another dimension. It's great to see Bertone's back with some bold originality, because with their recent managerial and financial turmoil a more conservative design might have been more likely. 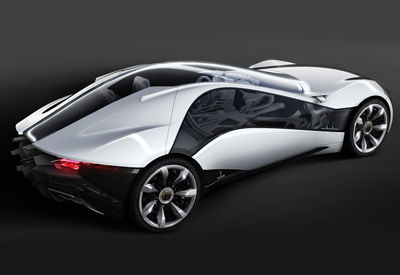 Instead though they decided to dial up the craziness and channel it into an innovative concept which would turn heads and break new ground in automotive design. The Pandion gets its name from the Latin name for an Osprey: a sea hawk that nests and lives in coastal areas. 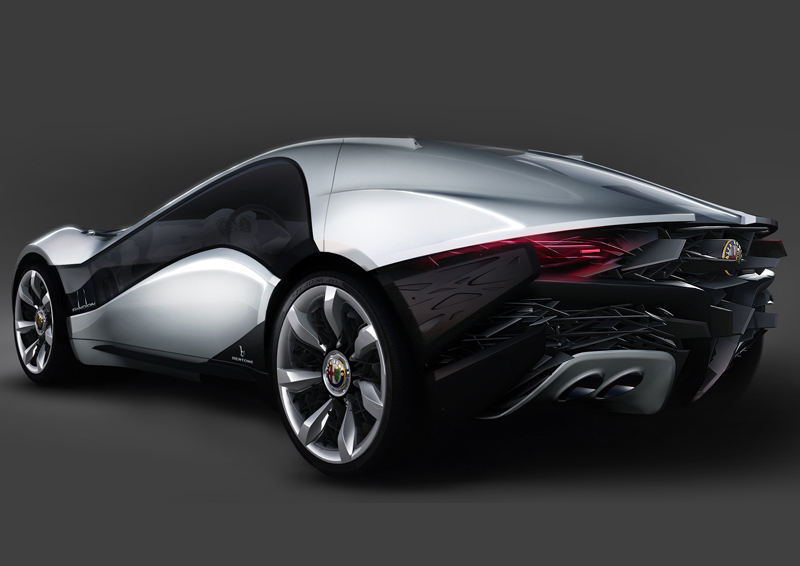 The designers, led by Bertone's new Brand Director, Mike Robinson, took inspiration from the wings of this bird of prey when designing the jaw dropping door opening mechanisms, and from the hawks' facial markings when developing the next generation Alfa Romeo face. The front end of the Alfa Romeo Pandion features a striking new design which, while recognizable as belonging to an Alfa, takes the styling another step forward. Which is impressive considering how good most Alfa Romeo's look today. The front end is designed to resemble the helmets worn by ancient warriors, with slits for the headlights and a slightly larger opening for the grille. Below the headlights are additional horizontal openings for fog lights. However it's not until you see the rear of the Pandion that the design really gets interesting. Here the designers have incorporated an array of crystal-like blades which are intertwined in various widths and lengths in a seemingly random pattern. This unique structure is designed to make it look like the car is traveling so fast the framework of the car is actually starting to disintegrate out of the back of the vehicle. Two small panels underneath this latticework house the quadruple tailpipes. These white painted panels are supposed to convey a sense of continuity to the design, as if they are fixed to the rest of the bodywork. The taillights are fully integrated into the organic tangle of the blades and disappear when turned off. 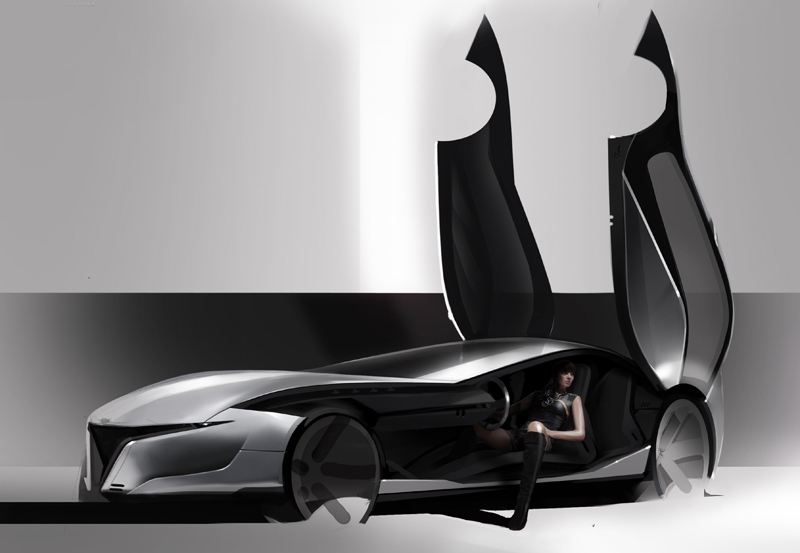 The Pandion's interior is also on the receiving end of some rather peculiar design ideas. The structures used within were created to appear somewhat organic or 'grown'. The 2+2 seating layout - although even in the press release from Alfa Romeo they acknowledged that the rear seats are merely 'extra spaces' - is typical of Alfa's sports cars. The front seats which seem to flow out of the footwells are only 30 mm thick. They have carbon fibre shells and are covered in a backlit gel material which conforms to the shape of the driver's or passenger's body. The steering wheel is clearly that of a sports car, while the controls are similar to those of Alfa Romeo race cars, with two analogue dials placed directly on the steering column. Three of the four LCD screens offer a rear view inside the passenger compartment (two on the sides, one on the windscreen) and they are directly connected to the external video cameras that substitute the rear view mirrors normally placed outside the car. The larger screen placed in the centre (9"), in the middle of the console - and within reach of the passenger as well as the driver - also displays information on the car's secondary systems. Powering the Alfa Romeo Pandion is a 4.7 litre V8 which produces 450 horsepower.